Can Your Startup Do Without Software Testing? Start What Ever Happened to… Breaking the Speed of Light? What Ever Happened to… Breaking the Speed of Light? It’s forbidden to go faster than the speed of light. If there is one idea that’s universally known, even among those of us less well versed in physics, it’s that there’s a universal speed limit that cannot be broken, because Einstein said so. Of course this is a big downer because it ruins the possibility that one day we might have the right technology to spend our vacations at other stars and meet the possible local inhabitants. But is it really so? Does Einstein deserve the fame of being the spoilsport who shattered one of the most cherished dreams of science fiction? The first hint in modern science that light was not instantaneous, but rather had a finite speed, is found in the work of the Italian Giovanni Cassini; however, he had little faith in it. After having proclaimed before the French Academy of Sciences that the abnormalities observed in the times of the eclipses of Jupiter’s moons were due “to the fact that light arrives from the satellites with a delay,” he abandoned this line of thought. Not so his assistant, the Danish astronomer Ole Rømer, who in 1676 achieved the first rough measurement of the speed of light. 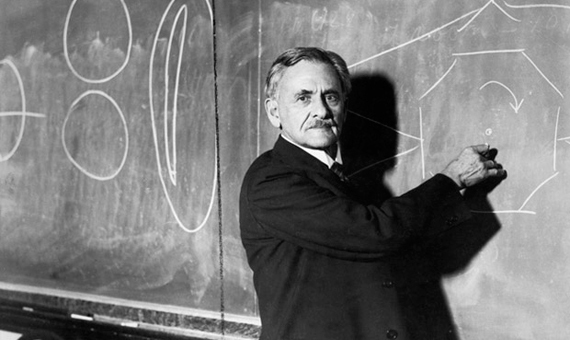 The credit for having calculated the speed of light with some precision rests with the American Albert Michelson (19 December 1852 – 9 May 1931), for which he would receive, in 1907, the first Nobel science prize for his country. Michelson began his work in 1877 while studying at the Naval Academy in Annapolis. At that time, scientists believed in the existence of a luminiferous ether that served to support light waves, just as the air propagates sound. Since the Earth must move through this fluid, it was expected that light would have a different speed in the direction of this “ether wind” and in its perpendicular. In his most famous experiment, carried out in 1887 along with Edward Morley, Michelson measured the interference of the phases of light waves in two perpendicular directions. The result was that there were no appreciable differences, thus the ether does not exist and light moves at the same speed in all directions. This conclusion arrived along with the discovery of the photon: particles do not need a medium through which to move. Michelson’s successive measurements were refined by others until, in 1975, a final value was adopted: 299,792.458 km/s. This value is no longer modified, since in 1983 it was used as a constant to define the new value of the metre in the International System of Units. As for Einstein, what he did was postulate in his special relativity theory that the speed of light is a constant, the “c” coined decades earlier by James Clerk Maxwell, and it is independent of the movement of its source for any observer; in other words, since there is no ether, there is no fixed reference system in the universe. 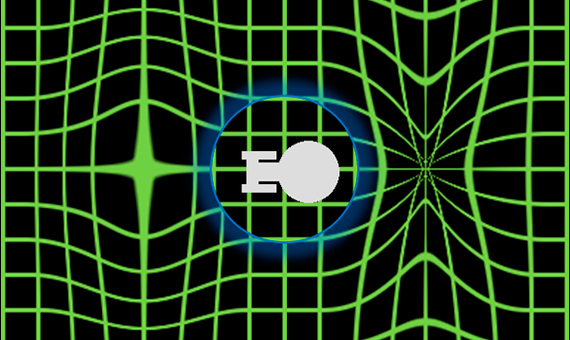 Einstein did not forbid an object from moving faster than light, but he estimated that accelerating it to such a rate would require infinite energy. However, some scientists say that, in fact, a trip at superluminal speed is not only a logical impossibility, but also that it wouldn’t offer the advantages that we think it would. NASA physicist and science populariser Sten Odenwald explains that the key problem is time dilation, a consequence of special relativity. For the crew of a ship travelling at close to light speed, their clocks run much more slowly than for their relatives back on Earth. When nearing the limit c, from their perspective the trip would be almost instantaneous. If a photon could think, it would sense that its flight from one end of the cosmos to the other was immediate, but to an outside observer it would take the entire age of the universe. At Warp 37 (a fraction of the speed of light of 0.9999… until there are 37 nines after the decimal point), Odenwald calculates that the trip across the universe would last 0.2 seconds. “The universe will literally have passed in and out of existence in less time than it takes you to take a breath,” he writes. So yes, a traveller could reach the other end of the universe in an instant, but unfortunately the earth would not exist when he returned. 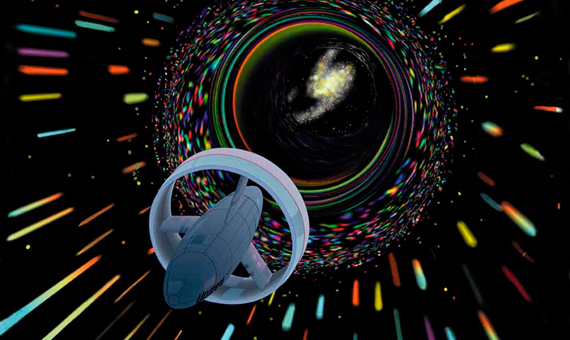 As for exceeding the speed of light, it’s easy to understand why this is not possible: a trip cannot be faster than instantaneous, unless the traveller reaches his destination before he left, which is equivalent to travelling to the past, and this would violate a basic principle, that of causality. Leaving aside objects, another case is the transmission of waves or particles. If it were possible to send instantaneous signals, we could communicate with possible civilizations over cosmic distances. In 2011, an experiment from the international collaboration OPERA claimed to have detected superluminal velocity in some very light particles called neutrinos, but it turned out to be a false alarm; it was an experimental error caused by a fault in a cable and a clock. However, in this case we also find that the equations are quite permissive. Steven Weinstein of the University of Waterloo (Canada) has worked on theoretical models of exotic matter in which disturbances like sound could propagate faster than light. However, he doubts that such a form of matter exists in our universe. One case that does keep physicists busy these days is that of nonlocal quantum entanglement, the ability of two subatomic particles to stay synchronized, even if they are separated by great distances. If one particle is acted on, the other responds instantly. Although this effect has been corroborated by hard evidence, not everyone is convinced. But according to physicist and writer John G. Cramer, professor emeritus at the University of Washington, “special relativity forbids faster-than-light communication at a definite speed,” he explains to OpenMind. On the contrary, quantum entanglement operates instantaneously. However, another question is whether this phenomenon would allow for communication; when one of the particles is acted on, its status is unknown, which prevents us from manipulating it at will to send signals. Cramer acknowledges that, “if the current formulation of quantum mechanics is correct, nonlocal signalling is impossible.” And if it isn’t correct? Cramer doesn’t rule it out. And just as long as the physicists don’t abandon this line of research, we can keep on dreaming.